Maybe you’re looking to get on the property ladder and are interested in learning how to build your credit score. While you know that unpaid bills reported to the credit bureaus will negatively affect your credit, most people don’t realize just how many things can affect their rating and what factors will never come into play. For whatever reason you want to improve your credit score, here are some things that will never affect your score. Many people don’t know this! Contrary to what you might believe, your age will never impact your credit score or report. Whether you are 21 or 71, that will not be a factor. However, the older you are the more likely it is that you have built some sort of credit, good or bad. That is the only way in which a person’s age would enter into the equation and that would be in the amount of time they had to amass positive or negative hits. There is a difference between a soft hit and a hard hit. When you check and monitor your own personal credit report, that is considered to be a soft search. It will not take points off your score. However, if you apply for credit, in many situations you will lose a few points because some lenders use a hard search. Check your credit score often to ensure you aren’t getting marked down for fraudulent use of your personal information or inaccurate reporting by creditors. 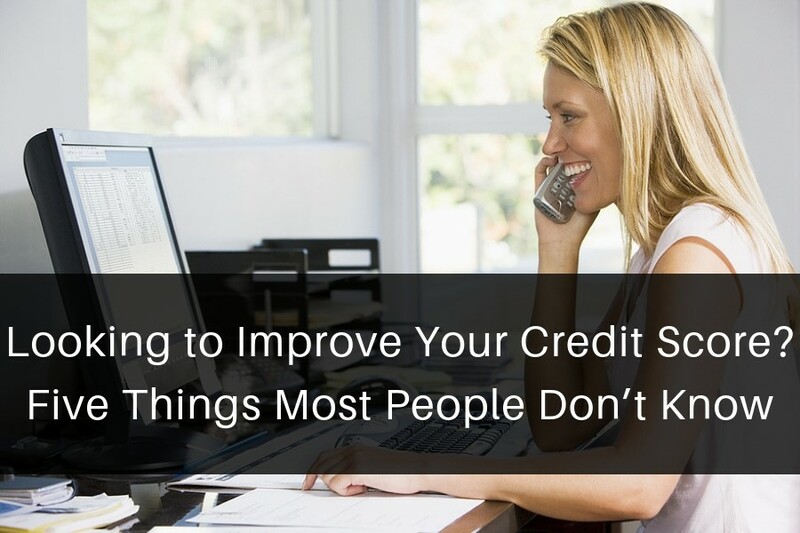 Until quite recently, your outgoings wouldn’t normally be reflected on your credit report. This meant that landlords and utility companies didn’t interact with the reporting agencies. However, in more recent times, some utility companies will, in fact, report late or unpaid utility bills. Sadly, they will never report that you paid for ten years on time month after month but let your account go delinquent for a month and you are likely to see that negative mark. This is why so many people are turning to personal loans like the ones offered at Everyday Loans UK. Not only can they borrow enough to keep their accounts current, but this is one company that will do a soft search, which will not affect your score. No matter how much money you have in your chequing or savings accounts, this information will not be reflected in your credit report. Here is where a great deal of confusion comes into play. Many people erroneously believe that a creditor will automatically see how much they have in their accounts when running a credit check because it must be listed on their report, right? Wrong! The other questions a lender will ask relate to your net worth. However, this information will not be on your credit report. Did you know that it is not uncommon for a high earner to have a low credit rating? There are a number of reasons for this, among which is poor handling of their finances. Sometimes it’s too easy to fall into the spending trap when you make a good salary and this is what will impact your score. Your boss will not report to the credit bureaus how much you earn, but you will almost certainly be asked on the application when applying for credit. How much you earn will affect such things as credit applications and rental applications, but that’s what you must itemize and document as part of the application process. Don’t assume that your report will tell a creditor how high your income is because they won’t find that information there. At the end of the day, the only things that will impact your credit report are how much you owe and whether or not you make payments timely. Even those things only stay on your report so long, typically for a seven-year period, but some negative marks can be reflected up to 10 years. You do have the options, however, to dispute any marks you feel are inaccurate and once erased your score can improve. As a final note, what many people also don’t realize is that a growing number of employers now look at applicants’ creditworthiness as part of the vetting process. Whether you are applying for a loan, seeking to rent an apartment, or qualifying for that dream job with great benefits, you need to keep your credit score as high as possible. It is more important than you think! NextLending 101: How Are Interest Rates Calculated?